Detail of two the Allen West controllers in the crane cab. The windows of the control room can be seen towards the back of the shot. 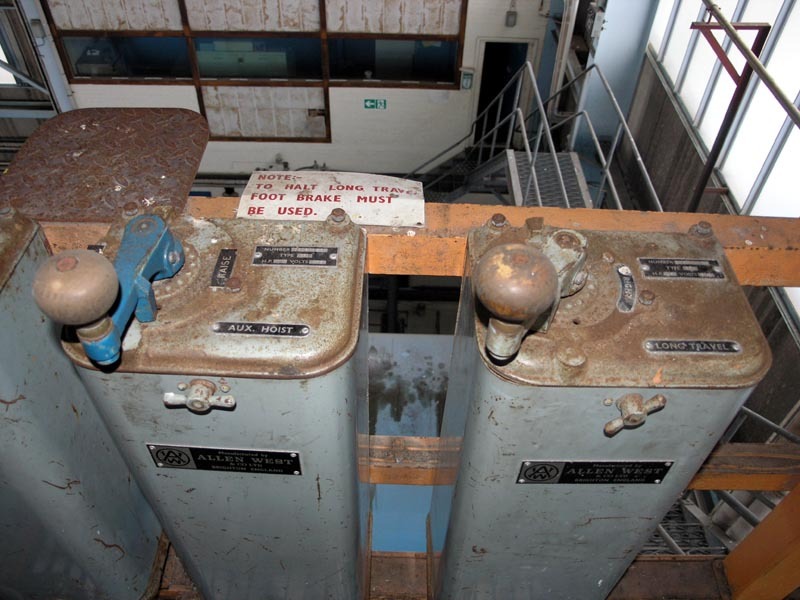 Detail of two of the crane's control panels.